If you are wondering whether starting your own chicken coop is worth the effort, just ask any chicken owner. Raising Australorps chickens requires knowledge and work, but the rewards far exceed the costs. To make life easier, it is important to research different breeds of chickens and pick one or more that suit your lifestyle and needs. It is your responsibility to properly feed and house your chickens according to the breed. Australorps are a relatively rare and reserved breed and known for their sweet meat. 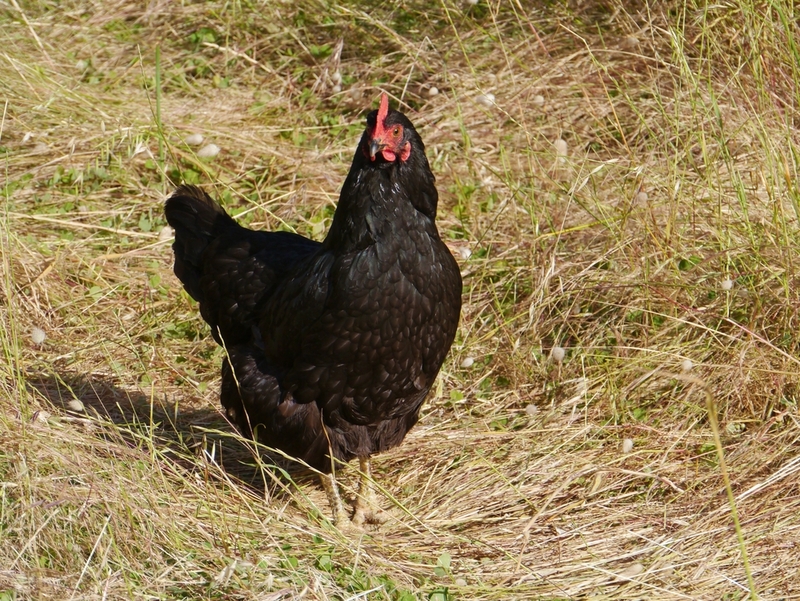 Here is an overview of Australorps and some guidance on proper care. Australorps chickens are descendants of Black Orpingtons brought to Australia from England at the turn of the 20th century. The breed name is a combination of “Australia” and “Orpingtons.” These chickens were traditionally used for both meat and eggs due to their fast maturity and high productivity. Today, hens are mostly raised for their eggs. However, their meat is notably sweeter than other breeds, so older and unproductive hens are often slaughtered for consumption. Consequently, raising Australorps chickens holds a dual purpose regardless of your original intention. Roosters grow to about nine pounds and hens mature to around seven pounds, but they also come in large and bantam sizes. This breed is known for a featherless face, single comb and resistance to common poultry diseases. Hens produce about 250 brown eggs annually and tolerate all seasons including winter. They are a brooding breed, so harvesting eggs can present some occasional challenges. These hens are rather shy and do not mind being cooped up in smaller spaces as long as they are not overcrowded. They tend not to fly very high, so overhead fencing and roofs are generally not needed if other surrounding barriers are high enough. Hens also have a tendency toward gaining too much fat weight when they are overfed. Therefore, feeding must be monitored more closely than with other breeds. Proper feeding and nutrition is a key element of raising Australorps chickens. This flock can digest the same feed as any other breed, and vegetarian diets are considered best. Processed pellet feed contains mostly corn and soybeans with supplemental vitamins, minerals and medicinal ingredients to protect the birds from disease and boost their immunity. The feed may also contain substances to improve growth and prevent mold formation. Check the packaging labels before purchasing and watch out for additives and unnecessary ingredients. Consider growing your own food so that you know exactly what you are feeding your chickens. Remember, you will eventually eat whatever you feed your flock. You can create your own rations and include a wider variety of food groups that your chickens love. This makes your flock happier and saves you money in the long run. Raising Australorps chickens is a relatively low-maintenance job. Though these chickens are fairly reserved, surprises can occur. Keep an expert chicken owner’s number handy in case of emergencies. Overall, as long as you keep your chickens properly fed, watered, housed and cleaned, they will live very happy lives.